Yet another illness has befallen our household. Young Master B had it hard, but Parental Unit 1 has had it harder. In fact, Parental Unit 1 is braving the whole mess using only Tylenol. Still, it has been hardest for the heartiest and healthiest among us--Parental Unit 2--as he had to be the sole caretaker. Enough about the parental units, these germs have sabatoged young Master B’s potty progress. On the other side of the illness, young Master B has developed potty aversion. He will still sit on the thing, but only fully clothed. Of course, I’m thinking okay, maybe he isn’t ready after all. Yet, he still taunts us with calls of “Potty! 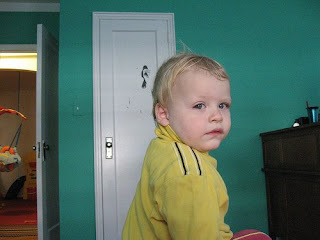 Poop!” If we act on those calls, taking him over to the potty, he gets very upset and runs away from the bathroom. Part of me thinks, he isn’t ready and we should just give up, but then another part of me chimes in, but he has interest, keep encouraging him. As the old adage says, we are going two steps forward, one step back. Is Mobify a good fit for Drupal?